Parikarmas are techniques for purifying the mind. They are Maitri (Friendliness), Karuna (Compassion), Mudita (Goodwill) and Upeksa (Indifference to evil). “This situation of having friends and enemies seems to be there all the time. In yoga, we talk of a neutral attitude – neither trying to love, nor trying to dislike – an even, balanced approach which we unfortunately cannot do. We admire someone and immediately want to show it. You see, yoga talks of keeping the mind balanced and not going overboard because that is dangerous. If you like something, dislike will come. To carry through life in a balanced manner is a very difficult attitude because we want to enjoy life and we don’t mind getting excited or angry sometimes. But you should remember that these will also bring in the contrary qualities also and if you have recognized that getting angry or excited is not a very nice thing, you will have to check yourself and not try and explode in these situations. “We do normal Karmas in day to day life. We do our duties, work for earning, work for pleasure, and even help others now and again. Then why bring in Parikarmas in yoga? Maharshi Patanjali was very clear on how the human mind works. He saw that many times we go overboard in normal activities and get overpowered by emotions. Suddenly we get angry and it takes a long time for us to calm down. There is the story of Rsi Durvassa. He was a great Tapasvi and used to do penance. He had great strength but the Parikarmas were not there. If something small displeased him he used to put a curse on the person. Afterwards he would realize what he’d done and go back to the forest for penance and purification. 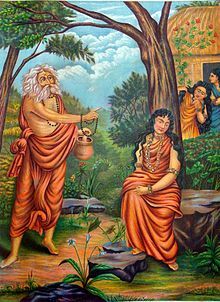 If he had the feelings of Parikarma, he would not have cursed Shakuntala. Yoga Shashtra says that even though we may be very wise, these kinds of mistakes will happen. So that these also don’t happen, this path of Parikarmas is given. The mind itself should be full of these feelings. Maitri, friendliness – do not get disturbed by ordinary things. If a friend came late, understand that he was probably justified in his action, he might have got caught up in some work. Do not blame or get angry. Karuna, compassion – if you see pictures of all saints and sages, their eyes are full of compassion. Every human suffers. Suffering brings compassion. So no matter what someone says, do not get affected, because their action is caused of suffering. 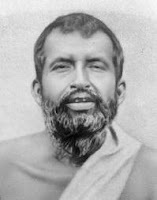 There is a famous story of Ramakrishna Paramhamsa who felt compassion for a drowning scorpion and saved it even though it is poisonous. Upeksa is being indifferent to evil things. Sant Namdev was returning after a bath and someone spit at him. He did not even look who it was. He went back for another bath. On returning, again someone spit at him. He still did not react and returned for another bath. Q. How do we remain non-judgmental if someone is apparently doing wrong things? A. Dr. Jayadeva – Are we a policeman? If yes then we should do something. Smt. Hansaji – Wrong and right are very comparative words and we should not really bother about it. Q. What should be done if someone comes across a situation which they just cannot ignore? A. Dr. Jayadeva – You should see to it that you do not get into such a situation and if you do get into it, you should remember that you do not wish to get into such a situation and so just be silent and accept. Smt. Hansaji – If you can’t ignore, fine. But doing action with an imbalanced state of mind is wrong. So you can plan the action. Do not tolerate nonsense. The Bhagwad Gita says do your action and do it well with proper concentration. But the action should not be done in frustration or anger, etc. Q. My daughter is 7 years old. When taking up her homework, she is very distracted and that makes me very angry. What should I do? A. Dr. Jayadeva – If you are a wise mother, you should know that children in their growth time do have habits which are not correct and in a loving way we have to get them out of it. Smt. 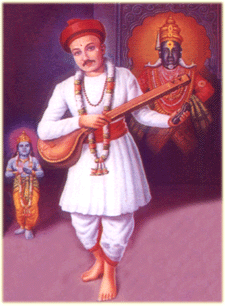 Hansaji – Expecting concentration from a child is wrong. A child will be restless, etc. Getting angry is wrong on the part of the mother. So we first have to correct ourselves and see that we don’t get upset about things we think are wrong. How nicely we read stories of Krsna. Krsna is told not to steal, not to tell lies, still he does it. We clap and sing songs about Krsna. The same Krsna is in our own house in the form of our child and there we can’t tolerate. That is wrong management. We have to make the child play a bit. Learn to communicate and attract them to do the right thing. So we should work on ourselves and be more creative and innovative. Q. Being indifferent to someone spitting in front of me is possible once or twice. But if this happens many times, how do I stop them? Is it correct to accept the action? If so, how? 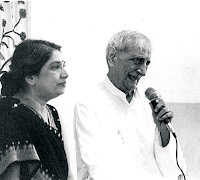 A. Dr. Jayadeva – How does the person come more than one or two times? If you know that is the tendency, keep away. Smt. Hansaji – You can very nicely tell then, wait you want to spit? Let me get a pot for you. If you show anger or hatred, you have lost the battle. Do not tell them they are wrong. Internally we should not expect anything from anyone. But externally we should be cordial.